A faint whisper in my ear... 'fa fa fava b-b-b-beans" as my husband and I laugh all these years. That's all I knew about fava beans until a Saturday in May. It was one of the healthy and unique (something I would have not bought before this point in my wellness journey) food items in my CSA box from Abundant Harvest Organics (AHO). I was intrigued to say the least. What was the fascination, in other words, what are the health benefits of such ... a little pod of peas beans? 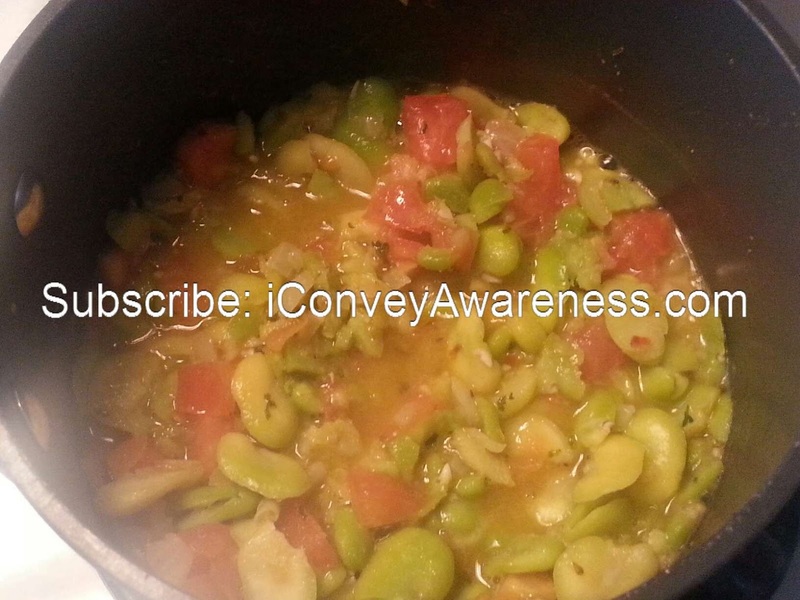 Nutrition-and-you shared that fava beans (a.k.a. 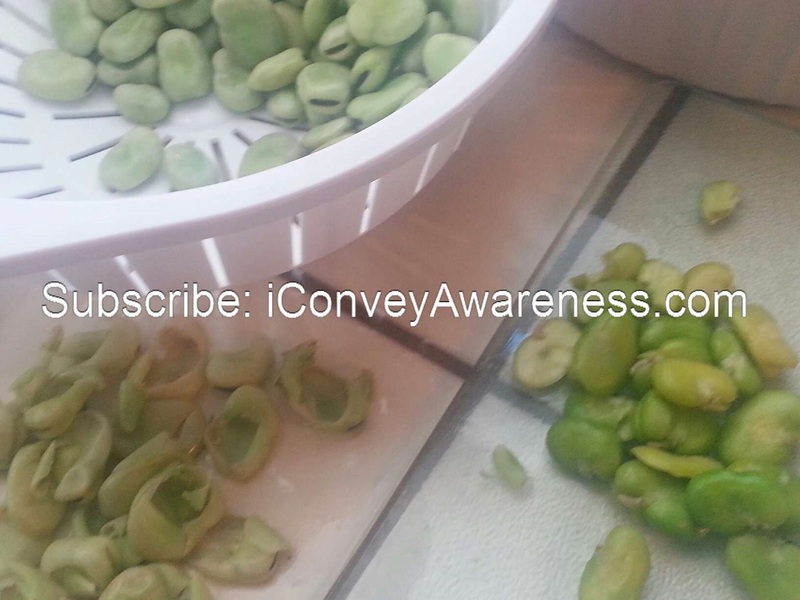 broad beans) are easily grown in home gardens but are typically only available a short time each year - late spring to early summer. They are high in fiber, iron, copper, potassium, are low in sodium, are a great source of folates (B12), and rich in L-dopa (the happy hormone). With all these benefits, it was a no-brainer to eat them. But, how? I had never prepared them nonetheless eaten them! So as usual, I scoured the Internet. I found that they are a common food in the Mediterranean. Other than super spicy dishes, I am a fan of the cuisine. I learned how to prep the pods for consumption and then found several recipes and made one into my own. My #bounty from the CSA. 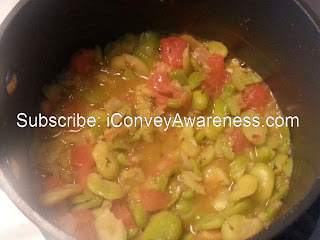 See the fava beans? Once the beans (peas) were ready, I sauteed onions until translucent then added garlic for about 30 seconds (do not brown) then a 1/2 cup of vegetable stock. I added the peas and all my seasonings. I am a pinch-and-go kind of gal most times, but I have added the measurements below. Gently simmer then reduce heat to low and cook covered for 20 minutes until the texture of the beans that you like are reached. Part way through cooking, I added 1 cup of diced tomatoes. 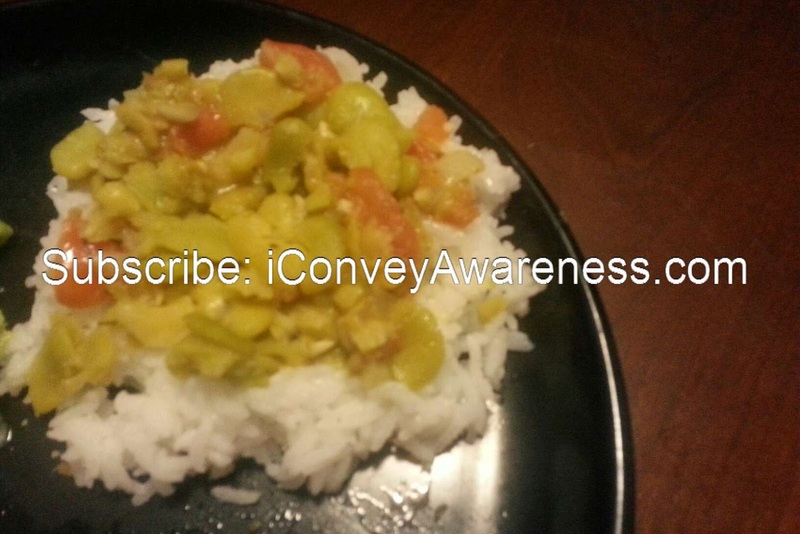 I served the fava beans with jasmine rice, grilled chicken breasts, and steamed broccoli. Though I must admit, while I prepared the rest of dinner, I kept putting my fork in the pan. Yes, I thought they were that good! In the image below is the set-up for the chicken breasts I served with the fava beans. 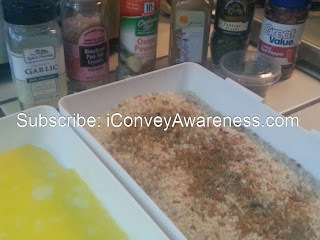 I used the same seasoning in the bread crumb mixture as I did in the fava beans. I started to mash some of the beans to see if they were ready. I think the fava beans can stand alone but in my family, rice can take up a dish two notches. I pan sauteed them in EVOO until no longer pink on medium-low heat about 5 minutes each side. I hope that you'll consider trying fava beans if you've never had them before. In the words of my 4 year old, 'you can't say you don't like something until you've tried it." 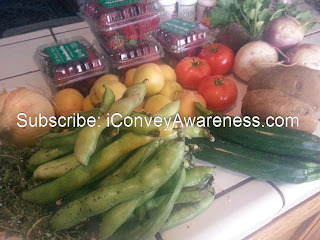 If fava beans are not available where you live, I challenge you to try a new vegetable this week! Why We Need To Eat More #Vegetables!